Please help me with it xD Thx a lot! This will remove the plymouth theme (the “white screen with antergos logo”) and will display (a lot of) text messages during boot. These messages may contain an info about the problem. It is usually contained in few final messages. @just Thx for the info. I will post the error messages ASAP! 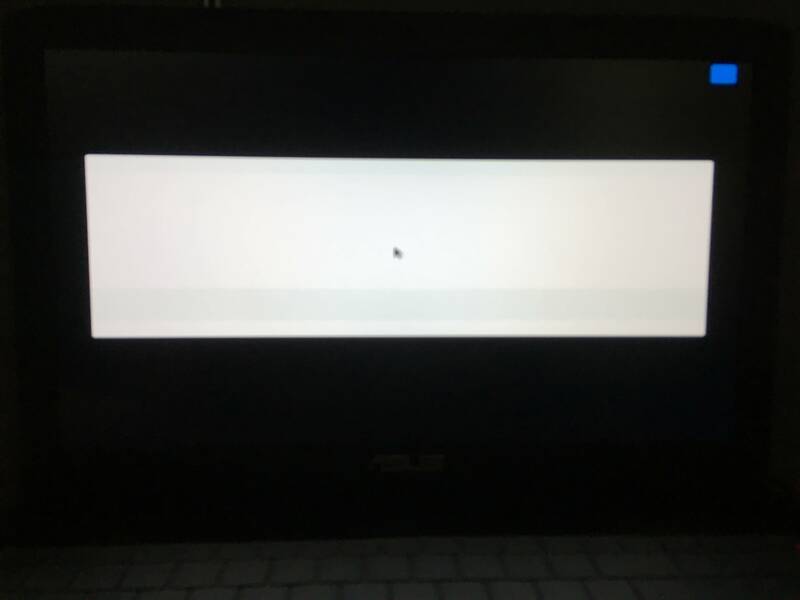 This is a pic about its final messages, I think it might be the problem with the two graphic cards (hybrid graphics with intel chip and nvidia GTX960M) in my laptop? So maybe adding “i915.i915_enable_rc6=0” to the boot parameters will help? @mmartin20tw Rather than graphic cards, it seems to be the usual devastation generated by malefic nouveau driver on Optimus computers. Let’s start trying to exclude it from boot sequence. Some parameters may be not suitable for the kernel, used by Antergos. Don’t worry, they won’t hurt anything - kernel will simply ignore them. The first parameter works perfectly, I will keep trying other ones. BTW first parameter made my laptop fan run at full speed and failed to shutdown, is that normal? OK. I highly recommend to uninstall the nouveau video driver - xf86-video-nouveau package - right after a fresh Antergos installation. It’s a root of all disasters on Optimus computers. It doesn’t seem to be normal. But I’m trying to avoid Asus hardware at all costs. It always been a total disaster in my experience :) . @just Thx for the info xD . So I need to install nvidia one instead right? Hope mine can work fine lol. Forget about ArchWiki article. It’s a huge overkill for novice Bumblebee users on Arch Linux. Use Antergos Wiki Bumblebee article instead. And remember to not enable proprietary Nvidia drivers during Antergos installation. Otherwise the system will not boot again. @just So after I boot into live session and install with modprobe.blacklist=nouveau, I still need to use modprobe.blacklist=nouveau to boot into arch on my hard disk for the first time right? Later on with bumblebee installed I can boot normally? BTW the article mentioned that there are one type that is BIOS controlled. If there is no similar setting option in my BIOS means that my laptop is first one right? 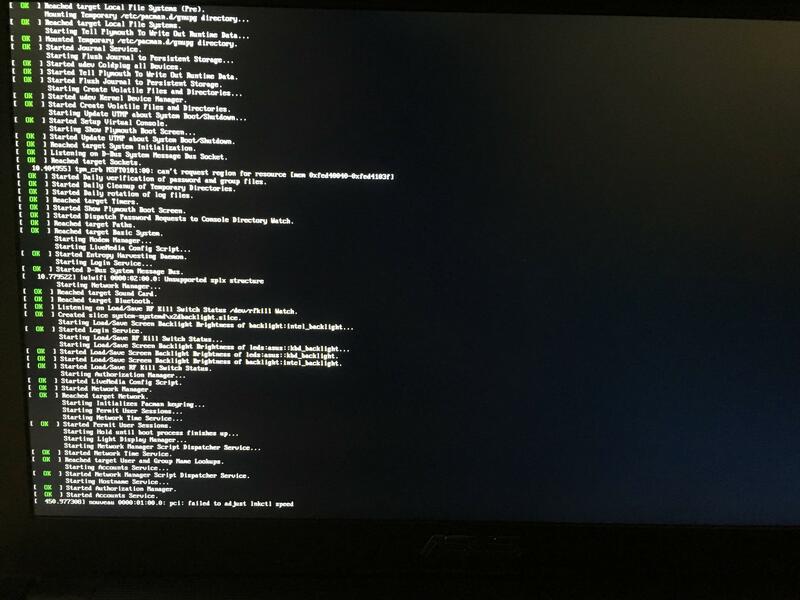 @just So after I boot into live session and install with modprobe.blacklist=nouveau, I still need to use modprobe.blacklist=nouveau to boot into arch on my hard disk for the first time right? Right. But once xf86-video-nouveau has been uninstalled, the modprobe.blacklist=nouveau is not needed anymore. And may be removed forever from the boot line. Before installing Bumblebee, make sure that the system runs on xf86-video-intel driver. It should the only one installed. Just search in pamac for xf86-video-. None other video drivers are needed. Later on with bumblebee installed I can boot normally? Yes. Moreover, you’ll be able to boot normally immediately after the xf86-video-nouveveau uninstallation. Right. Computers without a BIOS that controls the video card are most Bumblebee-friendly. Bmb is usually installs and runs without a hitch on them. A final note about ArchWiki Bmb article. It’s way too perfect. Too exhaustive. If Bmb will work for you after following Antergos Wiki, most probably you’ll never be in need to read the ArchWiki about Bmb. @just Thank you very much moderator! INFO: task lspci:2478 blocked for more than 120 seconds. Please, follow the good rule - one problem, one post. Mixing many issues in one post is a bad practice. The command iself (pwd here) doesn’t matter. Cooling fans spinning at max speed mean that the system runs on Nvidia. Optirun on exit must switch Nvidia GPU off. After some seconds the fans should slow down. Then again, I hate Asus hardware. For me, everything works in a wrong way on it, so it’s almost impossible to manage it in a decent way. Search for xf86-video- in pamac. Only xf86-video-intel must be marked as installed (checked). All other packages must be unchecked. It will display all info about video driver(s) in use in a human-readable format. Never seen smth similar before. Have no idea what it could be. @just Thank you for the info, I’ll open a new post for shutdown problem, I am sorry that I broke the rule. @mmartin20tw No apologizes needed, we are all learning constantly. No problem. Take a look… No, read carefully How To Ask Questions The Smart Way article. It’s very instructive. Helps a lot to “survive” :) in forums .